"Universality" is the most important factor of a highly appreciated musical piece. No matter how it is arranged, the original music’s splendor does not change. Izumi, hesitating to be called an Electone player, plainly shows the special characters of this instrument. The spread of easily reproducible registration data have emphasized the characteristic of the Electone as an electronic organ, and it might have increased the number of players. However, players lose their individuality as an artist in performing more subtle pieces like acoustic instrumentals and they struggle to produce an authentic sound. Some even go so far as to say that anyone can bring about the same sound. But, Izumi says, “even so, I am reluctant to devote myself to only the wonder of data arrangement because it is hard to show my individual style in performances.” “The Electone is not only a musical instrument but also a tool for learning and expressing music". The Electone creates a world in which composition, arrangement, improvisation and performance all freely come together. Izumi searches for a melody like a diamond in the rough to respond to any arrangement, or to share her mindset and form an intersection between listeners through improvisation. Izumi often chooses a keyboard instrument other than the Electone to fully convey the splendor of the original music in her performances. This is the reason why she prefers to be referred to as a keyboardist. 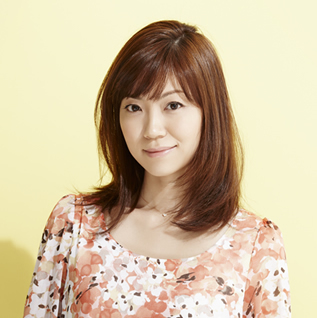 Born in Osaka, Japan on February 2, 1978, Izumi’s musical lessons started when she was inspired by her classmate’s piano performance in kindergarten. After winning the 2nd place in the International Electone Competition, playing in the popular music section in 1999 while studying at the Faculty of Human Development at Kobe University, she started her career. In 2002, Izumi was appointed as the image model for Yamaha ELECTONE (EL-900B), and expanded her career to other Asian countries and earned a vast following. For her major debut release, her 1st album “Brilliant Notes (KING RECORDS/KICC-512)” was released on November 26, 2004. Her 2nd album “Amplitude” was released in 2009 and her 3rd album “Rendes-Vous!” was released in 2013. Her 4th album “Tree of Life” dropped in 2016, and almost simultaneously she published Electone Scores off the same album. Izumi appeared in the Yamaha Corporation Commercial in 2013. Currently, Izumi performs solo with the Electone, providing original compositions and appears on various mediums, as well as gives lessons at SENZOKU GAKUEN COLLEGE of MUSIC. Izumi captures the heat of many fans with unforgettable melodies in one listen, creating a colorful landscape in the music industry across genres, with her overwhelming expressive power and her witty way of talking that is easy to get close to.